The kitchen is, in my opinion, the most important room in the house. Not only is eating an essential requirement for life, but it's pretty enjoyable too. I love entertaining; preparing a delicious and wholesome meal for my friends and family fills me with the utmost pride. I revel every time I successfully make a new curry, or pan of rosemary focaccia bread. Eating is one of the main reasons I make functional ware. It is a delight to serve great food, on great pots. So, naturally, our kitchen was the first room we finished after moving to Jerseyville. 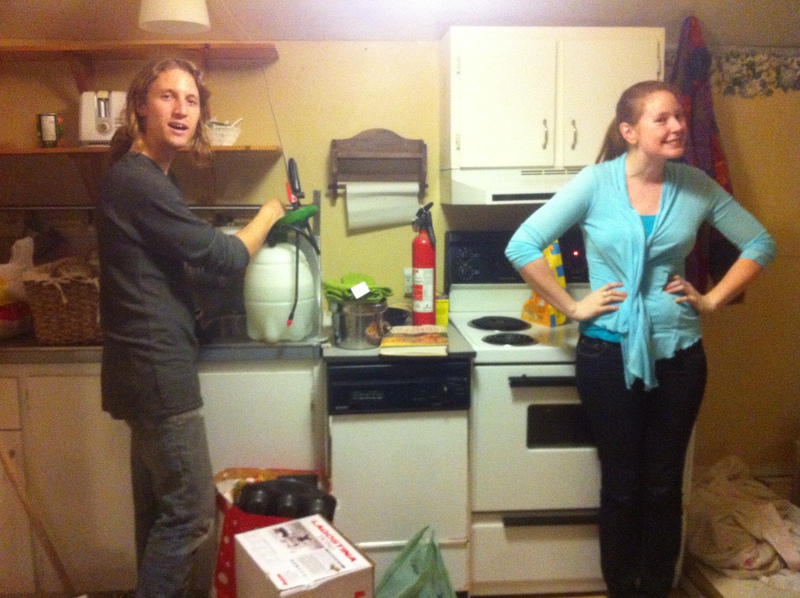 Here's Jesse and Alicia on our first night in the old kitchen (note the atomizer for removing wallpaper). And here's our new abode. 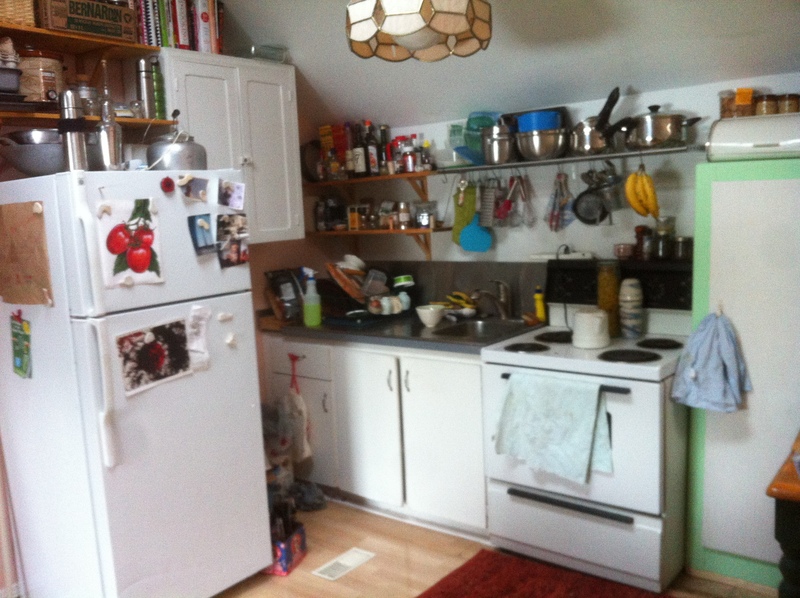 Thanks to shelving (and the pantry from my childhood laundry room), we can fit all our stuff into this wee kitchen.